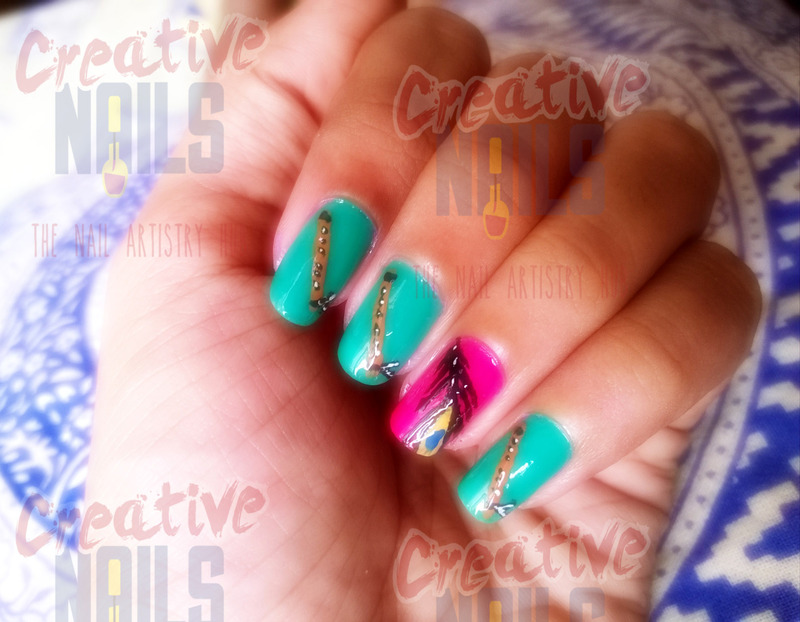 Bansuri – Mor Pankh Nail Design! When Sri Krishna plays his bansuri, the whole universe dances to his tune. The peacock spreads its feathers in beauty and runs around in joy! The lord stirs the consciousness of the world and instills peace. 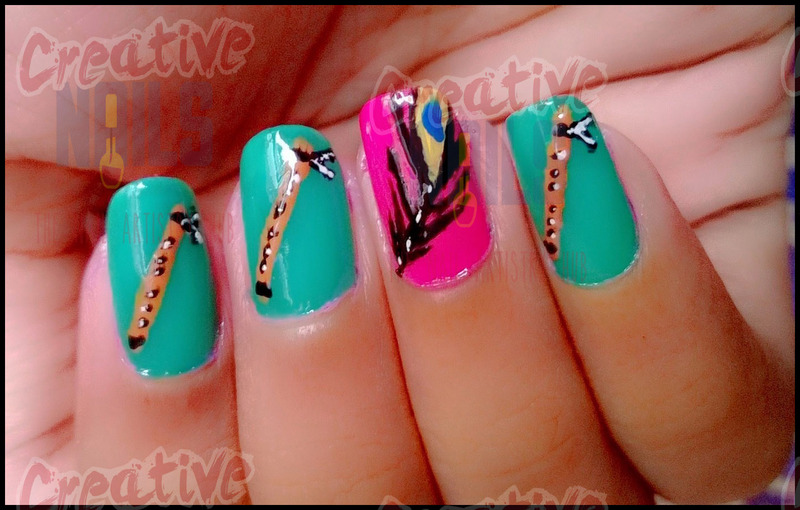 His bansuri is a symbol of divinity, childhood, naughtiness, love and eternal bliss..
← Rain of Happiness Nail Design!! Its a beautiful manicure 🙂 Loved the concept and its execution! I am so loving your nails and the color combination.. great job! Beautiful nail art. Love the colour combo. Very well done! 🙂 happy janmashtami in advance..